Ah, French Pharmacy month. That special time when skincare aficionados everywhere craft their ideal regime at a fraction of the price. We’ve relaunched our famous up to 1/3rd off French Pharmacy campaign again and it’s running all October long, offering you the best selection of high performance dermo-cosmetics from across the Channel. No longer do you have to do an emergency skincare weekender trip to Paris – we’ve got all the cult hits, the bathroom cabinet staples and the fresh new launches right here! Shop Bioderma, Vichy, La Roche-Posay, Nuxe, Eucerin, Homeoplasmine, Evian and Biafine with 33% off RRP, Klorane, Avene, Rene Furterer with 20% off RRP, Caudalie and Embryolisse with 20% off RRP and A-Derma with 10% off RRP. 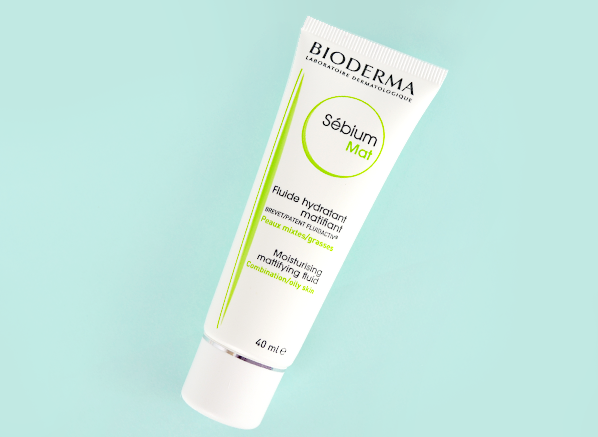 Exclusive to us at Escentual, Bioderma Sebium Mat is the answer to your shine-prone skin woes. Now, disregard everything you think you know about oily skin moisturisers because with Mat, Bioderma has created something quite special. Mat creates optimum balance for skin that can’t quite pull itself together, working to treat the causes of a shiny complexion rather than just covering it up. It not only absorbs excess oil for day-long comfort, but it improves the quality of your sebum production with Fluidactiv® Complex to prevent pores from becoming blocked, and regulates the amount that is produced with zinc gluconate and vitamin B6. So, skin is more comfortable, blocked pores become less frequent and your foundation looks so much fresher. But Mat doesn’t stop there. Added AHA esters buff the skin to improve its texture, which has an impact upon the size of your pores prevents that that bumpy, congested look – you’re clear, fresh and breezy all day long. Check out our full review here. Here’s one for those who are starting to take their skincare seriously. Optimised for women of around 40+ who are concerned with ageing, Merveillance Expert focuses upon the effect that glycation has on the skin. Glycation a the process whereby healthy, functioning proteins become overwhelmed with sugars as the skin ages, preventing them from performing as well as they should and leading to slackening, wrinkles and a loss of radiance. One of these proteins, vimentin, you may not have heard of, but you’ve almost certainly heard of collagen and elastin – they’re deemed by skincare brains to be the key to youthful-looking skin. One of the most impressive things about this collection (there are many, including 3 pending patents!) is that it not only works to protect skin against future glycation-induced ageing, but it also reverses the damage caused already. With frequent use sugars become detached from the proteins to allow them to function correctly, making for smoother, plumper more resilient skin. Result. The collection features an Eye Cream, a Lifting Serum, two Correcting Cream moisturisers (one for normal/combination skin, the other for dry to very dry skin), and a Night Cream – see what Escentual team member Pat thought of the range here. Another really exciting launch is La Roche-Posay’s Pigmentclar collection, a duo of products optimised for those concerned with pigmentation, dark spots and dullness. Its exceptional blend of ingredients not only targets an uneven distribution of pigment, it also works to refine the skin’s texture, ensuring that it looks smooth and luminous. 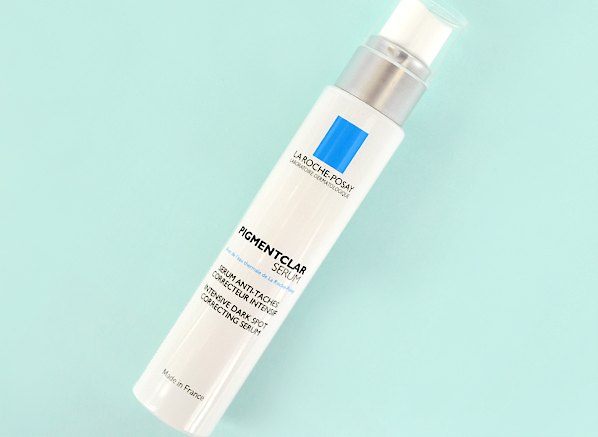 The pioneering Pigmentclar Serum is formulated with a high concentration of LHAs to buff away dead skin cells and really smooth the complexion, while its signature, potent Pigmentclar Complex significantly reduces the appearance of irregular pigmentation. For for the chronic dark circle sufferers, Pigmentclar Eyes gives your peepers their sparkle back, focusing upon the smudgy under eye darkness caused by an excess of melanin and a sluggish circulation. I particularly like the metal applicator, which works really well to cool tired eyes, and the subtle infusion of light reflecting pigments. After use, eyes look vital and bright. Bumps, bruises, cuts and grazes; they’re not limited to your childhood years, and as you get older they become more conspicuous and disruptive. You may be more reluctant to use an unsightly plaster, and those bruises that used to seem so small and insignificant suddenly appear to be darker, larger and more long-lasting than they ever were as a kid, which makes unveiling those legs so much more trickier. 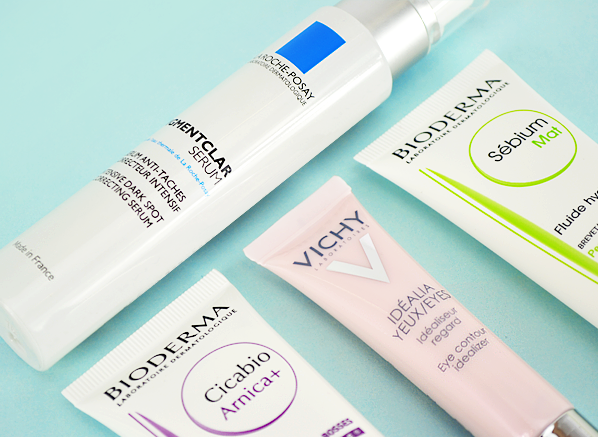 Bioderma (creator of THAT innovative micellar water) has created a pair of products specifically formulated to speed up the all-important healing process whilst promoting an optimum repairing environment. The Cicabio Creme focuses upon all banner of complaints, from scratches to scar tissue, and contains resveratrol, Antalgicine®, hyaluronic acid and copper for high quality skin regeneration and protection against bacteria, and has the added bonus of reducing the urge to scratch. Cicabio Arnica+ is focused upon bruises and bumps, working to reduce swelling and eliminate the pigments responsible for bruising. Both are suitable for the entire family, making them absolute essentials for the bathroom cabinet. Calling all fans of the Idealia Life Serum (of which there are many), your favourite skincare now has the perfect accompaniment: Idealia Eyes. Created for those who go to bed late, don’t drink enough water and party a little harder than they should, this forgiving cream helps tired eyes to bounce back. And bounce back they do, because this little tube contains all of the skin energising big guns! From brightening Vitamin CG to peppy caffeine, the lightweight cream really rejuvenates your skin. 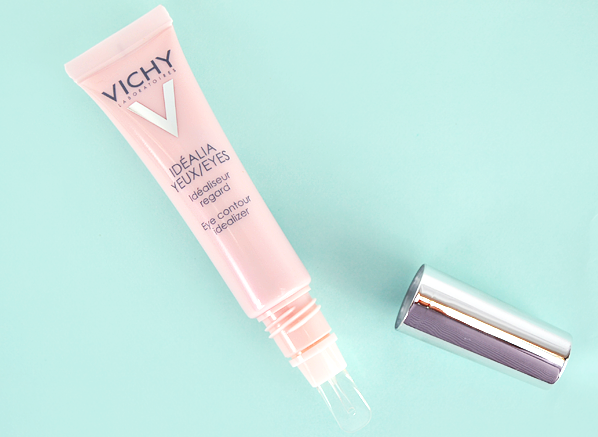 Immediately, a combination of illuminators and DRM-Bright work to enliven fatigued peepers and bounce light around for a more flattering look, while over time Vitamin B3 and Vichy’s signature Thermal Spa Water soothe, smooth and reduce dark circles. Slip one in your handbag for an instant pick-me-up. This entry was posted on Wednesday, October 1st, 2014 at 9:00 am and is filed under French Pharmacy, New products, Skincare. You can follow any responses to this entry through the RSS 2.0 feed. You can skip to the end and leave a response. Pinging is currently not allowed.